We’ve all been on one of those conference calls. You know, the ones where background noise drowns out the speaker? Wind whisking through open car windows. People forgetting to mute their line is one of the biggest complaints about teleconferences. The reality, though, is that they’re a way of life in the business world. Audio conference calls are convenient and easy to use, and nearly everyone has access to a phone and conferencing network. Despite the decreasing costs of web and video conferencing, audio is still the most popular format, accounting for 65% of all conferencing. 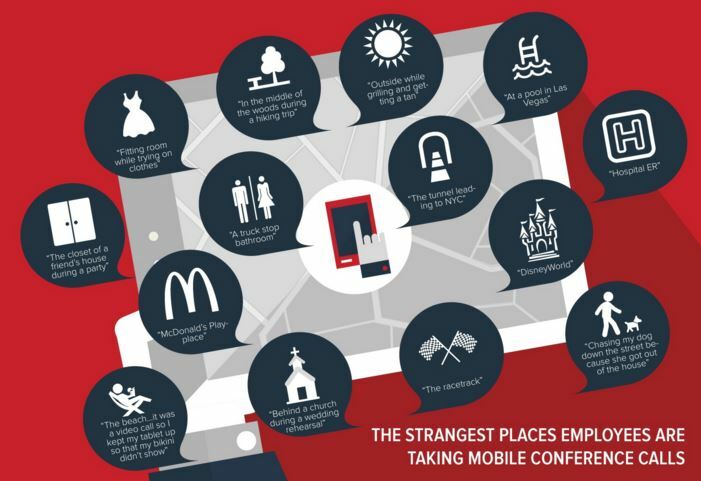 Conference calls aren’t going away any time soon, and chances are you’ll be participating in quite a few of them next year. 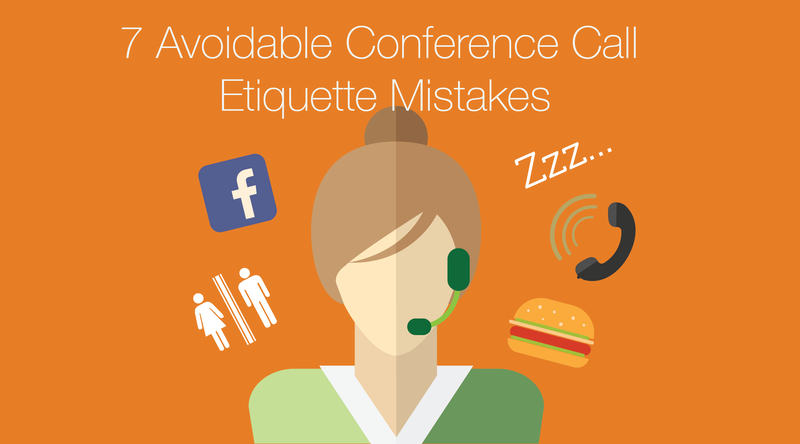 So here are some tips to help you avoid committing some of the most common conference call etiquette mistakes. In a recent study conducted by video conferencing software provider Blue Jeans, 72% of people admitted to talking to other colleagues during an audio-only conference call. In our age of enterprise instant messaging software like Microsoft Lync, you don’t even need to use your voice in order to communicate with your co-workers while stuck on a conference call. Try your hardest to avoid tuning out of the conversation to engage with someone that’s not on the call with you, whether they’re sitting next to you, across the office, or in an IM chat. 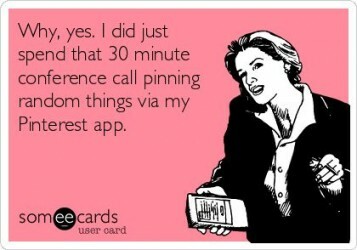 In the same study, 34% of respondents admitted to using social media during an audio-only conference call. Given the way that social media consumes our lives, it’s surprising that number’s not higher. It’s one thing if social media, in some capacity, is part of your job description. Or say you’re discussing potential clients on your call and you go on LinkedIn to get more background information on a company or their employees. But commenting on Facebook statuses or uploading photos? That can wait until lunch. If social media is going distract you and take your focus away from the conference call, then it’s best just to avoid it altogether. In a 2014 study conducted by Blue Jeans, 10% of respondents admitted to checking online dating sites during a web conference. Even if you haven’t had the chance to open your email and review your most recent matches, a conference call (or any work-related task, really) isn’t the time to check. Much like social media, online dating sites can probably consume you if you’re not careful, so allocate a specific amount of time to your online dating endeavors – at home. Everyone’s multitasking and on the go now more than ever, with more people calling into conference calls from a mobile device instead of a landline. So it’s not surprising that 34% of respondents in the Blue Jeans study admitted to taking other calls while on an audio conference call. If you know you’ll be using your cell phone for your next call, turn off call waiting and other notifications to eliminate the temptation of taking your ear off the call to check a text or email. Using your cell phone also means that you can call from anywhere, free from your desk or a huddle room. Unfortunately, this means that you’re susceptible to all kinds of distractions that’ll prevent you from practicing good conference call etiquette. Be mindful of your surroundings wherever you’re calling from and find somewhere that’ll let you stay focused on the teleconference. 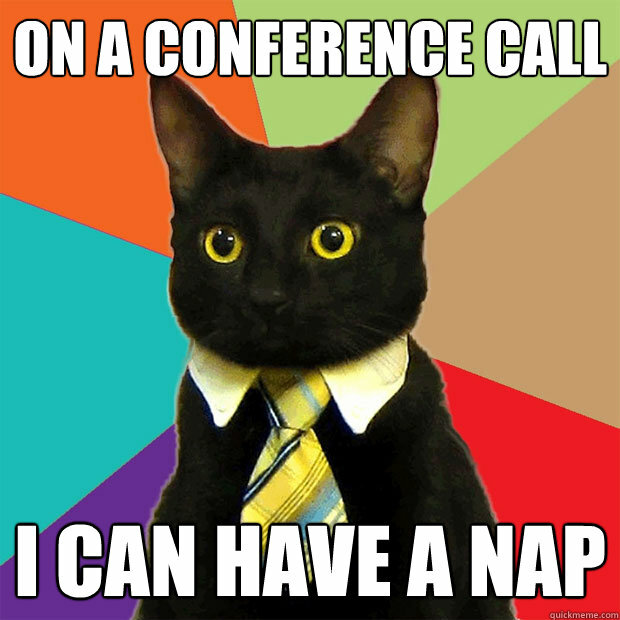 Believe it or not, 27% of people have admitted to falling asleep on a conference call. Fatigue and a lack of energy can be caused by so many different factors—quantity and quality of sleep, stress, diet, and prescription medications, just to name a few—so improvements in those areas of your life will surely help you avoid dozing off on your next conference call. Get Outside: Switch the call to a mobile phone and walk outside for a couple of minutes – make sure to hit the mute button before you do, though! Candy Fix: Peppermint and menthol candies can simulate a fresh air feeling by clearing your airways and helping you breathe easier, according to Jane Scrivener, author of Detox Your Mind. Smell This: A few sniffs of essential oils such as lemon, rosemary, cinnamon and peppermint can have instant energizing effects. Hey, I know it’s nearly impossible to not have a morning snack or to hold out until the end of the day after lunch without eating something. Regardless, a conference call isn’t the place to satisfy your case of the munchies. Since conference calls are usually scheduled and rarely spontaneous, plan accordingly and get a snack in before it’s time to start. Eating beforehand will help you focus when you’re on the call as well, since you won’t be distracted by your stomach rumbling and the desire to eat. Besides, the last thing you want is to be asked a question and have your mouth full when your boss and co-workers are listening on the line! When nature calls, the last time to take care of it is when you’re on a conference call. Surely if you can avoid going to the bathroom while at the movies, you can hold off during a 30-minute conference call. Hold it! Chances are you wouldn’t do any of these things in a face-to-face meeting, so they shouldn’t be carried out in an audio-only teleconference or web conference either. Video meetings manage to hold participants accountable on screen, but until video conferencing becomes a reality at your company, hopefully these conference call etiquette tips come in handy for your next calls!